UKIP is the political party of the pub – pure and simple. We feel that not enough is being done to help the ailing pub trade which is why we have launched our Save the Pub campaign. It is estimated that four pubs are closing a day across the UK. In Greater London alone, over seven hundred pubs have closed since the introduction of the smoking ban. The undemocratic smoking ban was a major kick in the teeth for those pubs that offered somewhere for people to enjoy a pint and a smoke at the end of a hard day. Great Britain used to be the country of tolerance, compromise and fairness – in the case of the smoking ban these values were nowhere to be seen. The ban was put in place which of course has had a devastating effect on the nation’s pubs. Smoking ban aside, there are plenty of other reasons why the pub trade is struggling: cut price supermarket booze, extortionate business rates, red tape, ever increasing beer duty and tied commitments – meaning a pub has to buy its beer from their landlord as opposed to find it cheaper on the free market. All of these factors are nails in the coffin of the British pub and UKIP demands urgent action. 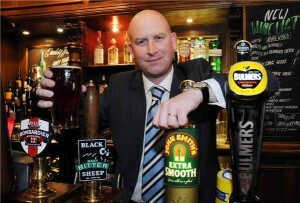 Deputy UKIP Leader Paul Nuttall MEP is spearheading UKIP’s Save the Pub campaign. UKIP believes that the other political parties have lost touch with reality and are nothing to protect the pub. Up and down the land hundreds of once great British boozers are closing down resulting in unemployment and broken communities. Please sign our Save the Pub petition and make a difference. And if you support UKIP, rest assured your vote will be for a local politician who will make helping the ailing pub trade a priority.